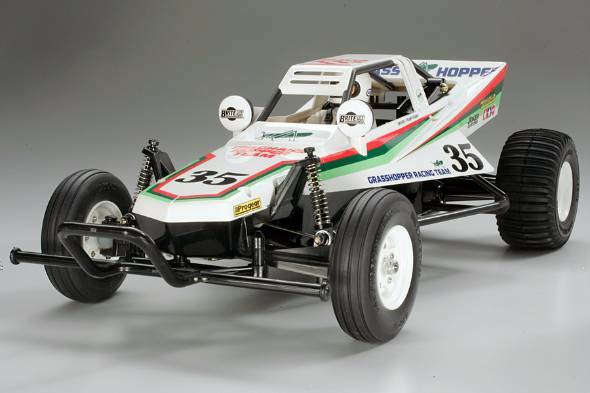 30 years from the model manufacturer Tamiya is released racer mini four-wheel drive. Once mini four-wheel drive, which has become a social phenomenon, but now also do you know that the is showing the climax. Involved from the birth of the four wheel drive mini as an employee of Tamiya, Mr. Yasuyuki Maeda was instrumental as a spark of the boom in the nickname of “before-chan” talks about the behind-the-scenes. Once to enthusiasm the children in Japan, boasts a sales performance of more than 170 million units in total, “Racer mini four-wheel drive.” As the driving force behind a is model-plastic model manufacturer Tamiya has released the first issue of goods racer mini four-wheel drive on the market in May 1986. Just 30 years have passed since then. And except for the official competition was held in Tokyo on in 2016, also becomes more than 3,000 of the scale in the only entry into the race, it will be held in order across the country. In fact, now, also it has a growing swell of the boom. 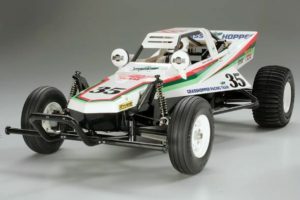 National events of the summer vacation of Tamiya certified that 1999 had been the last to cut off “Racer Mini four wheel drive Japan Cup” is, it seems to have been resumed from 2012 is one of the great opportunity. Competition venues clamor is former elementary school corps, especially the unique atmosphere of the male group of 30’s to 40’s, middle shift of up to stunning (is under firm money on a single machine) can be realized. As the author individuals involved over a long time from the birth of the racer mini four-wheel drive as an employee of Tamiya, but it places the situation that has not been captured the mind of today’s elementary school students is regretful, why now even touch on I wonder if this scene is seen I want to place. Many of the people who react to the racer mini four-wheel drive, cartoon “Dash! There are two undercurrents that generation and “Bakuso Brothers Let’s & Go ! !” generation of Yonkuro “. dash! Yonkuro until February 1987 to December 1993, Bakuso Brothers Let’s & Go !! until September 1994 June to 1999, long-term series of both Shogakukan boys’ comic magazine “CoroCoro Comic” was. At the same is TV animated in parallel, than it was headlines the magazine Over the 12 years together. This in the yesteryear of the reader, is inspired by the cartoon and planning of Colo comic, while the racer mini four-wheel drive in an effort to direct the orientation, not a few people who continued out to the lottery even want to leave the official competition. So, it was a hard even longing for the stage to be played. Many of these people, come true at last wish into adulthood, to reset to the time their own that faces the current race. So why is racer mini four-wheel drive, wonder was popular until about this. Let’s return to the previous a little time. 1983 summer, the toy market Nintendo game console “Family Computer” has appeared. The information of the game software went was immediately taken up in a variety of media soon to. Not surprisingly, NES information in Colo comic which was a Bible magazine of the boys will become the lots, but on the other hand, in this year, also started series of cartoon “RC Boy” of RC car (radio control car) It was. This is, it has become in the wake of post-racer mini four-wheel drive of the movement is not surprisingly known. Series start reverberation from the very beginning is extremely large, I used to believe that people of editors that still is in the boy “car hobby” is essential. 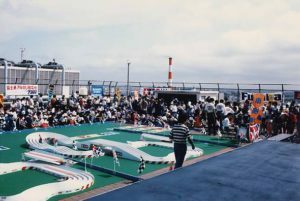 There will be “Wild Willis,” “Mighty Frog”, “Grasshopper,” “Hornet” Even if you were in the “Hot Shots,” “Boomerang” ear the naming of “Thunder shot,” such as RC car. However, it was extremely difficult is that to characterize the goods alone of this model on the magazine. For example, in the NES game, easy and character rise instead of the usual person or vehicle, can be user also soak in the view of the world. Every time I see the instruction manual and information page, Hagayuku and there was no way to have sung the well playability (game of). Still, is showing off Gekiso scene of RC cars as of each issue in the preface color of Colo comic, I had firmly touch the origin Isaono or machine in the RC Boy story. 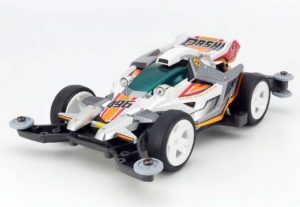 In addition, at the time of the school year magazine ( “one grade of elementary school” – “sixth grade elementary school”), as can be understood in elementary school, and biologically followed by the characteristics of the machine are introduced, little by little, one 1 is symbolized as a platform of the RC car is “★★ machine”, it advanced to a state close to characterize. On the other hand there is also a problem with. That play with RC cars Tamiya of this era, in addition to the machine (assembly kit), purchase propoxycarbonyl and (transceiver and servo set) battery is required separately, a total of 30,000 yen or more also in the low-cost model burden as it takes is larger. And “what is this expensive in elementary school”, it was often heard such a voice inside and outside the company. This was Nayamashika’. Era Even though it was the midst of the 1980s bubble, the average pocket money amount at the time of the elementary school upper grades to have checks of less than 800 yen a month, 30,000 yen had tried to hurt how much expensive or. The author is also the time of the junior high school students, and funded the 250 yen that had got every day as a lunch of bread cost, it was Dari poured into Tamiya’s first electric RC car “Porsche 934RSR”. When I was resident in the event venue, I bought a set of the Hornet, the heaviness likely, but a look at the back of the elementary school students to go with gusto, remember that you also became a chest heat dozens of times. Under these circumstances, gradually tide has changed. When the elementary school students will become the world commonplace of feeling like having body price 14,800 yen NES game software of about one 4500 yen five or more of the impression that the radio control is the intensely expensive is unawares dilute becomes, such as planning, such as NES vs RC is often organized, 2 large super-expensive hobby has become so rampant in Colo comic and grade magazine. 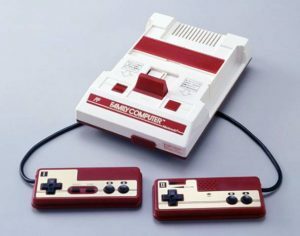 When I think now, the order and timing of this radio-controlled and the NES has appeared on the market can not be said only it was a miracle. That said, it is to have no change expensive RC car. Problems to it of what to in order to impress the more widely handily RC car, became to feel in even skin many stakeholders. In response to this, in a snap-kit that has been already sold in one set of 500 yen at the time (self-contained kit that does not use an adhesive), the four wheel drive mini series of palm-size of one of the 32 minutes of live-action, Tamiya RC car mascot (Junior) is the were supposed to line up. However, to say that the same four wheel drive mini series, was to be different from the characteristics completely design and up to four wheel drive mini it. In chassis layout of the image of the RC car at the time, and full-time 4WD shaft drive, that it is the choice of gear ratios, high-speed stable running a full-fledged miniature that was realized was completed. The first issue of this racer mini four-wheel drive, to No. 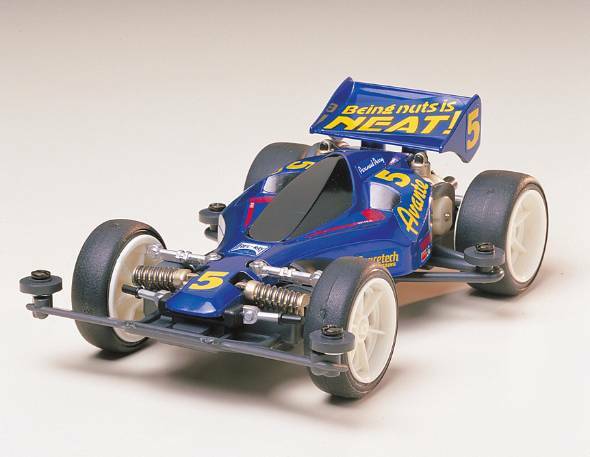 2, “Hornet Jr. (Junior),” “hot shot Jr. (Junior)” as the name of the RC car are marked, such situation is in the background of such from it. Layer supporting the competition of the current mini four-wheel drive in central is, wide and from radio-controlled boy also know that in the mid-40’s father generation, until the young of the late 20s known only Bakuso Brothers Let’s & Go !! 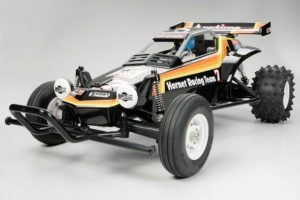 the is because the birth of a racer four wheel drive mini boom is a RC car with the source as described above. The best-selling mini four-wheel drive machine? Relationship between the author and the four wheel drive mini was the Planning Department Design Office employees Tamiya at the time was close. While in charge of some of the decal (seal put on the model) design of the initial model, it came to media development is also in charge because there was no publicity section. And the repetition of being kicked out of the rough draft of the chassis design and grade-up parts of four wheel drive mini to designers, prototype of modifications and grade up parts themselves are deployed in Colo comic, and, until the publicity work It had become. It did raised much mini four-wheel drive is in such 1980s and 1990s. Let Itadako with the image in the rough-hewn number of sales and event visitors. According to the announcement of the most recent Tamiya, now four wheel drive mini series sold more than 175 million units total. # 1 sales in successive machine is to have been released in December 1988 “Avante Jr.” (Type 2 chassis). I wonder was born to do what is such a four wheel drive mini boom. But this condition to mention three in outline the factors. Not a toy, it was Tamiya. The four wheel drive mini series, Once “This toy is ……” from the beginning has been approach to the recipient and the like, adults might was evaluated as “it is well able to toy”, the boys of elementary school upper grades, which was the target It would have murmured as “do not need if toys”. Children hate to be treated as “children’s natural”. Tamiya’ve been game the adult to the other party to it, molded products of quality, design accuracy and durability of the drive train, the competition of the regulation and management of know-how, it poured as it is generous even for racer mini four-wheel drive believes that was a big factor to attain to differentiate itself from competitors. To certain manufacturers of the series was at that time hit product, but there is a case that had been using the recycled plastic, Tamiya is not any such thing. In addition, to clarify the difference between publicity and the AD (advertising), it was also conscious perhaps in that a child is not a “money of smell” is another of the elements that cause anaerobic. Be deployed in Colo comic, linked planning of [comic strip] + [Hobby] + [events] + [television program] is, from the elementary school, would some sort of form (hardness to grab firmly the middle upper grades of mind, especially at that time ) there is. In recent years, such as “Yokai Watch” and “Beyblade” I would hit on it. Even if there is no integration with the television program, for example, Takara (now Tomy) that appeared in 1982 in the “Choro Q” also, decoration to Intro graph, cartoon “Zeroyon Q bold” has been serialized, “Choro Q Certified Pentathlon “by, for example, is the event expanded, such as, went led to the explosive boom. In addition, grade magazine, literally in the media that can reach for each grade of elementary school, at the time there is a thing that has been provided to class library of each classroom of elementary school. Therefore, the height of what to say even if Kaidoku rate was Tanomoshika’. Because the magazines also make the planning that prospect a span of one year, for example, by putting the elements of the seasonal, softened in a good way the stoic of the Tamiya is controversial, easy-to-understand to children, can be deployed is planning to tell the well-friendly nuance It was. For any product information in Tamiya, it provides uniformly in any medium, were uniformly interviews. Things like leaking a separate information on the particular media had done nothing. So that the people of the editing unit of the information providing destination of the medium and its responsible get to cook the Tamiya of the material until it interesting, did not disturb the stance that cooperation in all possible measures, if necessary. No fake, without the image effect, really or run on water and snow, or skip towards the sky, was pulling the vehicle. Thoroughly remodeled, the challenge of how much speed is put out, the effort results have been reflected in the realistic as it is to the magazine. The flip side, however was the only thing it. Also it is an example that people of the editing part and often a game of endurance race in the apt. I think such, also adults was go tell in life-size to the children of the readers whom a have become serious, and it one of the factors that led to the popularity. For this successful three factors, I want to mention in the next and subsequent more detailed thing. This entry was posted in Media, Tamiya Company, Vintage on August 30, 2016 by admin.